Following the successful implementation of goal-line technology (GLT) at the FIFA Confederations Cup Brazil 2013, FIFA has confirmed that GoalControl GmbH will be the official GLT provider for the 2014 FIFA World Cup Brazil. The Germany-based company won a tender process in April that incorporated both tournaments, but with confirmation for the 2014 FIFA World Cup being subject to the system’s performance during the Confederations Cup in June. 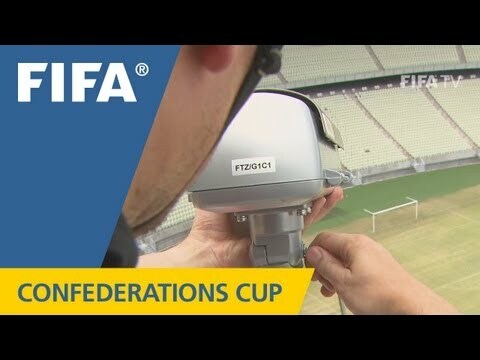 The announcement follows an evaluation process in which the relevant departments within FIFA examined the use of GoalControl-4D during the FIFA Confederations Cup. While there were no goal-line incidents in which the technology was required to determine whether a goal had been scored, the system met all necessary FIFA requirements and indicated every one of the 68 goals correctly. Importantly, there was also a high-level of satisfaction reported by match officials. FIFA also confirmed that GLT will be used at the FIFA Club World Cup to be played in Morocco from 11-21 December 2013 and that GoalControl GmbH will be the official GLT provider for the event. GoalControl GmbH was selected as part of a tender process after FIFA invited all four FIFA-licenced GLT providers to submit a proposal for the tournament. The use of GoalControl-4D in Morocco and Brazil will be subject to a final installation test at each stadium, which is a standard procedure as part of the official certification process defined in FIFA's GLT Testing Manual. These tests will be conducted by an independent test institute. Prior to the start of every game, the match officials will also carry out their own tests, in-line with the operational procedures approved by the International Football Association Board (IFAB). FIFA will now liaise with GoalControl GmbH to define the timeline for installation leading up to each event. The GoalControl-4D system uses 14 high-speed cameras around the pitch, with the indication of whether a goal has been scored confirmed automatically within one second by a vibration and visual signal on each match official’s watch.